As studio mates and collaborators, Kevin and Molly have created an intertwined body of work for this exhibition. Both Brooklyn-born, raised, and based, their collaborative works are in close conversation with the library in which the show is exhibited. Herein, they have created their own “art city,” complete with billboards, street signs, and foliage that surround an infinite racetrack, acting as the center of their world. Their playful and ingenuous styles play off of each other’s works as well as off of the library’s own childlike aesthetic and elementary foundation. 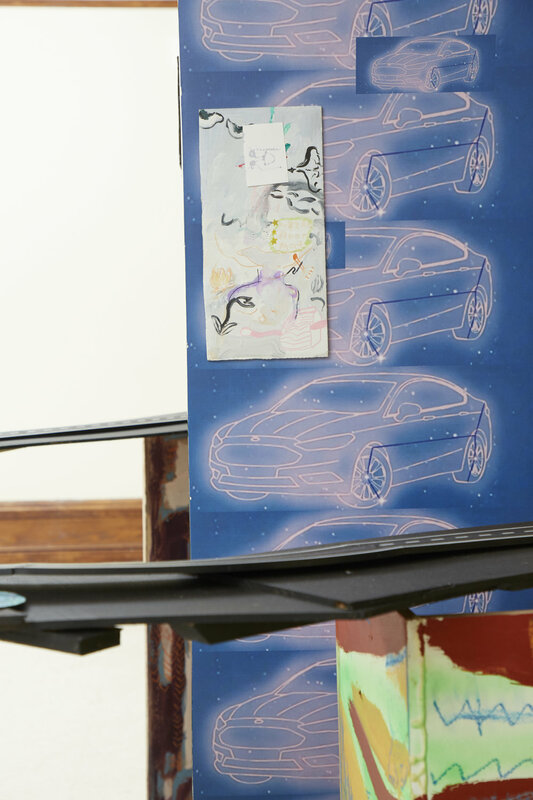 Auto Body and the artists are pleased to be exhibiting works in partnership with a historic, cultural, civic, and educational institution as prominent as the Brooklyn Public Library. This show intends to expand the audience of Kevin & Molly’s work from beyond their studio (which is just blocks from the library), and beyond Auto Body’s reach to the greater borough-wide audience of the library.